Tomas is back from Denmark (yay! 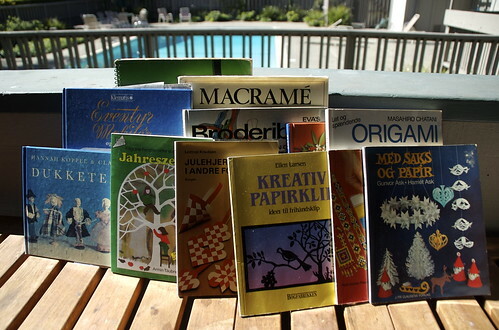 ), and he brought back the most wonderful books! He and his parents ventured out to a used book store and picked up all of these great books for me (plus a few craft mags!). I can not wait to share our interpretations of the activities packed inside these pages. Fall is going to be a wonderful crafty time in my household! I’d love to see some of the crafts you do!